We understand the stress of moving, and that’s why we get ready for your move. You shouldn’t have to stop life because you’re moving. Instead, contact a reliable, reputable moving company that offers a wide range of services from simply moving your furniture to packing, unpacking, and of course moving. 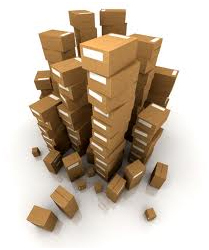 We will help you get started with a variety of moving materials such as boxes, bubble wrap, foam, peanuts, and complete packing inventory. Packing tips are available through our team as well. We’re happy to provide packing and unpacking services to insure that you have a complete hassle-free relocation from start to finish. Allow us to survey your home, for free if you are a resident of Santa Fe. From there, we can calculate the best rate for your belongings. 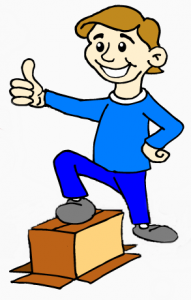 Boxes – What Do You Need? Using new, quality packing materials specifically designed for moving can really make the difference in ensuring that your items arrive at their destination safely. 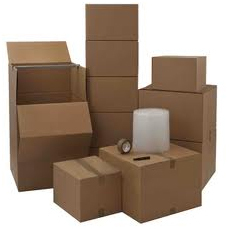 Professional moving cartons come in a variety of shapes and sizes that are specifically suited to fit a variety of household goods. 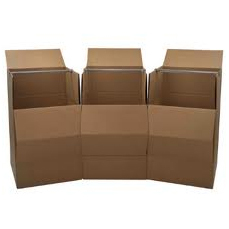 Extra sturdy corrugated carton of double-wall construction for all breakables such as china and dishes, crystal and glassware. You may also want to use cellular dividers inside the carton as an extra measure of protection. A small, easy to handle carton designed for heavy items such as books and records. Medium utility box often used for pots and pans, toys, non-perishable food and small appliances. For bulky items such as linens, towels, toys or lampshades. For lightweight bulky articles such as pillows, blankets and large lampshades. This large carton has a hangar bar to accommodate clothes from your closet or draperies. Telescoping cartons fit almost any picture, mirror or glass. Available in king, queen, double, single (twin) and crib sizes; you’ll need one for every box spring and every mattress. Notebook and pen or pencil for listing contents of cartons as they are packed.